Manchester United manager Ole Gunnar Solskjaer is claimed to have originally been a Liverpool fan while he was growing up in Norway. The 46-year-old recently became appointed Man Utd manager on a permanent basis, following a hugely impressive spell as interim boss, while he’s also fondly remembered as a legend of the club from his playing days. However, despite seeming such a perfect fit for United, it seems Solskjaer wasn’t always the Red Devil through and through that he seems to be now. 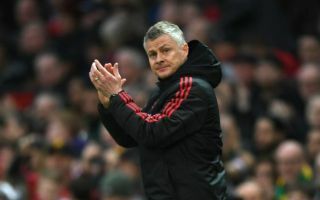 People who knew him in his home town of Kristiansund apparently seem pretty convinced Solskjaer grew up supporting MUFC’s biggest rivals Liverpool, according to the Sun. We doubt United fans will mind about something like this from such a long time ago, but it’s certainly quite an amusing tale involving their much-loved manager. We’re just disappointed someone with ‘Gunnar’ in their name didn’t think to follow Arsenal, who are nicknamed ‘the Gunners’.